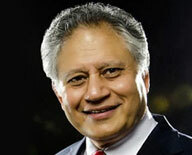 MR. SHIV KHERA is the founder of Qualified Learning Systems USA. An Author, Educator, Business Consultant and a successful Entrepreneur, he is a much sought-after speaker. He inspires and encourages people, making them realize their true potential. He has taken his dynamic personal messages to opposite sides of the globe, from the U.S. to Singapore. His 30 years of research, understanding and experience have helped people on the path of personal growth and fulfillment. Mr. Shiv Khera is the author of 16 books including the international bestseller "You Can Win", which has sold over 2.8 million copies in 16 languages. His other books are creating new records. His Clients include Lufthansa, IBM, HP, Citigroup, HSBC, Canon, Nestle, Philips, Mercedes Benz, Johnson & Johnson and many more. Tens of thousands of people have benefitted from his dynamic workshops internationally in over 17 countries and millions have heard him as a Keynote Speaker. He has appeared on numerous radio and television shows. He has been recognized by the Round Table Foundation and honored by Rotary International and The Lions International. "The next big leap in education can happen only if education is also looked at as an enterprise. We need best practices, scalable models and investment by organised players to achieve this. Once the education market gets consolidated then pan-India outreach can be achieved." "In India, the condition of primary education sector is quite good. There are plenty of options available. But the efficiency of the secondary education is very low. In the next 3-5 years we need double the number of secondary schools than we have now. There is an urgent need for increase in financing for senior secondary schools. Government alone cannot fulfill the needs. Hence there is a requirement for private funding." "The rate at which teachers join the profession is much lower than at which they leave. This can be changed only if it is acknowledged that teachers are the creators of knowledge. Managing the performance of teachers is not a small task. There are different kinds of management performance techniques and they should be applied according to the need of the hour. A teacher should be seen as someone who builds capacity. Therefore, it is vital to take into account the needs of the teachers and they should feel responsible rather than taking it as something that has been put as a burden on their head." "Presently, technology has penetrated only 5% of schools while 95% are still open. The day would not be far when school students would be carrying laptops and notebooks to classrooms. In the next couple of years, almost 15-20 million rupees would be spent on providing laptop and notebooks to school students. The introduction of 3G and Broadband will bring about a change in the landscape of education." "A very good initiative by Franchise India. The Conference provided exposure to very valid and relaistic areas of education, a great platform to hear the view-points of experts in the field. " "Overall well organised conference which covered all aspects of the education sector laying emphasis on the opportunities and challenges. It was 2 full days of good information." "The Indian Education Congress was an outstanding platform for professionals from various disciplines. It provided an insight into new opportunities and challenges with multiple perspectives which was informative and useful. " "The Indian Education Congress 2011 brought into culmination the best practices of the Education Industry and the most inspiring ideas of individuals with a global perspective. The event was replete with opportunities to interact with eminent speakers and networking with them. It was a process of unlearning many things that were conventional and learning afresh many progressive strategies for a better future in education. Thanks to Franchise India for organising this enriching event!" Hitesh Hindocha, Strategic Growth Partner, Edify School, Edify Education Pvt Ltd.
"The event was well executed and each speaker presentation was really enriching. This event has definitely helped us in getting to know more about the education space in addition to the prospective clients looking for funding in either their new projects or expanding their current facilities." "The conference was statistically and presentation-wise perfect. The speakers had a very good energy & provided apt information. The quality of speakers was also very good. "